Senator Bernie Sanders (I., Vt.) said Monday that all felons, including terrorists and rapists, should be able to vote while serving out their prison sentences. Asked during a CNN town hall in New Hampshire whether he believed people like the Boston marathon bomber should be disenfranchised, Sanders said no, and suggested that all restrictions on voting rights erode American democracy. 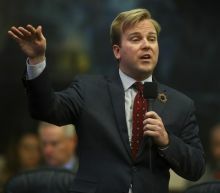 “If somebody commits a serious crime, sexual assault, murder, they're going to be punished,” he said. 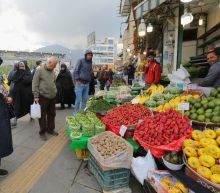 Matt Landers: "I know I've got to work harder"
Iranians, already hard hit by punishing US economic sanctions, are bracing for more pain after Washington abolished waivers for some countries which had allowed them to buy oil from Iran. "In the end the pressure (America) is putting out is on the people," said a 28-year-old technical instructor in Iran. In 2015 when Iran struck a landmark nuclear deal with world powers, hopes were high that it would end the country's years of crippling economic isolation. A newly released sketch of a man suspected of killing two Indiana teenagers in 2017 "more accurately represents" the man believed to be their killer than a sketch released months after the girls were slain, state police said Wednesday. The statement from Indiana State Police sought to clarify information about the two sketches on behalf of the multi-agency task force that's investigating the February 2017 killings of 14-year-old Liberty German and 13-year-old Abigail Williams. Master Trooper Taylor Bryant told The Indianapolis Star on Monday that he drew the sketch that was released this week just three days after the girls' bodies were found in a wooded area where they had been hiking near their northern Indiana hometown of Delphi. The Mother of Dragons has given us a lot of gifts in Game of Thrones' seven (and soon-to-be eight) full seasons. Sansa (Sophie Turner), the Lady of Winterfell, clashed with Daenerys — naturally, some viewers characterized the meeting as passive aggressive, as both leaders wish to claim and maintain power. One moment in particular has captured the internet's attention for its comedic potential: Daenerys smiling through a potentially awkward moment. The 'Game of Thrones' Season 8, Episode 3 Pics Are Here & Wait, Do Tyrion & Varys Die First? Saudi Arabia's Interior Ministry says 37 Saudi citizens were beheaded on Tuesday, all accused of terrorism. Saudi Arabia executed 37 people and all the UK did was shrug. What will it take for the west to speak up? A U.S. House committee will vote on holding a former White House security director in contempt for failing to appear for questioning on allegations the Trump administration inappropriately granted clearances to some of the president's advisers, the panel's chairman said on Tuesday. "We will hold a vote of our committee shortly to hold him in contempt and then we will check with House counsel ... to see where we go from there," House of Representatives Oversight and Reform Committee Chairman Elijah Cummings said in an interview with MSNBC. Carl Kline, who served as the White House personnel security chief for the first two years of Republican Donald Trump's presidency and now works for the Department of Defense, had been called to appear before the committee at 9 a.m. (1300 GMT). How far have we traveled when it comes to LGBT rights and acceptance? The Supreme Court has agreed to hear three cases that will determine whether federal job discrimination laws extend to sexual orientation and gender identity. Buttigieg is a millennial, a Harvard grad and Rhodes Scholar who speaks seven languages, a military veteran who served in Afghanistan, an Episcopalian, an alum of the consulting firm McKinsey & Co., and now the two-term mayor of South Bend, Indiana. Amazon Deals | Walmart Deals | Apple Deals | TV Deals | Gaming Deals | Laptop Deals | iPhone Deals With the smorgasbord of spring sales to be had this month, now's a great time to shop for gadgets. Bargain hunters who want to get an early start on buying the perfect gifts for mom or grads can score some solid deals on everything from laptops to game consoles. If you're shopping for a new 4K TV on a budget, Walmart currently has the Vizio 65-inch 4K UHD HDR Smart LED TV on sale for $649.99. 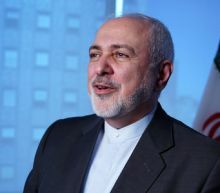 "I don't think he wants war," Zarif said in an interview at the Iranian mission to the United Nations in New York. "But that doesn't exclude him being basically lured into one." The White House did not immediately respond to a request for comment on Zarif's remarks. Zarif said a so-called "B-team," including Trump's national security adviser John Bolton, an ardent Iran hawk, and conservative Israeli Prime Minister Benjamin Netanyahu could goad Trump into a conflict with Tehran.